Cape Town – While global mining companies have seen an upswing in their market capitalisation and bottom lines on the back of a recovery in commodity prices, their South African counterparts are struggling to keep head above water amid regulatory uncertainty and an economy in decline. South Africa’s mining industry once contributed close to a fifth to GDP, but this figure has declined over the last five years from 7.7% in 2012 to 7.3% in 2016. Over the last five years, mining’s contribution to GDP has declined by 0.2% per year, while domestic input costs continue to rise due to higher energy prices and labour costs. Industry profits before tax over the five-year period declined by 48% and dividends paid to investors plunged by 52%. These statistics show an industry in decline, but the situation is expected to deteriorate even further since Mines Minister Mosebenzi Zwane's gazetting of the third revision of the Mining Charter and an intention to halt all future mining rights transfers and the granting of new prospecting rights and mining rights. Within hours of the gazetting of the new Mining Charter, South Africa’s mining companies listed on the JSE lost R51bn of their value. In addition, pension funds that hold mining stocks lost R2.7bn of their value, affecting at least 60% of South Africans who hold shares in mining companies as part of their pension fund investments. Analysts, lawyers and even the ANC raised alarm bells over the onerous provisions in the new Charter and cautioned that the elevated black ownership, employment equity and procurement targets will lead to further job losses and a drop in output. between 50 000 and 100 000 direct mining jobs could be at risk. The Chamber further estimates that the new levies and other costs emanating from the third Charter could cost the industry an additional R700m per year. “In sum, these proposed new Charter obligations would impose unsustainable financial burdens on an industry many of whose members are already operating unprofitably. As it is, the mining sector’s contribution to GDP has halved since 1994,” the Chamber said in its quarterly report. Since the launch of the Charter on June 15, Zwane has retaliated somewhat when he agreed to hold off on the implementation of the Charter until the Chamber of Mines’ court interdict is heard in September. The Chamber’s court bid to have the Mining Charter suspended will be heard in September, while the declaratory order to get clarity on the once empowered, always empowered principle will come before the courts in November. Zwane is perceived however to have hardened his stance when he recently gazetted a notice of his intention to place a moratorium on the granting of mining rights, prospecting rights and the transfer of mining rights between companies. This move will in effect stop all new mining transactions in their tracks. 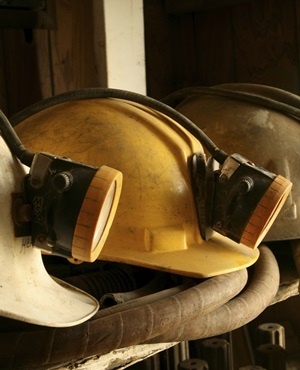 Nick Roodt, a lawyer at Fasken Martineau, told Fin24 that the minister’s intended restriction is suspicious and could be an attempt to neutralise the Chamber of Mines’ court bid to suspend the new Mining Charter. The Chamber of Mines has launched another court bid, which will be heard on August 4 after Zwane failed to heed to the Chamber’s request to withdraw the moratorium notice. Analysts and lawyers expect the Chamber of Mines to be successful in their court bids, but pointed out that lengthy court battles are something the industry can ill afford. Given the legislative uncertainty investors will in all likelihood take their capital to other more secure mining jurisdictions or allocate it to other sectors.